I think there is one word to describe how I felt after EDC: Exhausted!…but what an experience 🙂 After a 40 minute walk from the parking lot to the Coliseum and about another 30 minutes to get through intense lines and crowds (luckily we got to hear Afrojack while in the security line)…my friends and I finally made it into the VIP area. Even though the VIP area was not as close to the stage as I would have liked, it was well worth the more expensive ticket for the open bar, extra space to sit, the ability to walk down to the general admission area by the stage, and of course…nicer bathrooms. Sadly, we missed Chuckie’s full set, but were able to hear the last couple of songs in his set as we frantically ran into VIP before he finished. Next up was Dirty South who began the set with one of my ABSOLUTE favorites…John Dahlback – Pyramid. He also played a mashup of Body Language with De Bos – On the Run, I’m Sorry, Let it Go, and his remix of Temper Trap’s – Sweet Disposition. 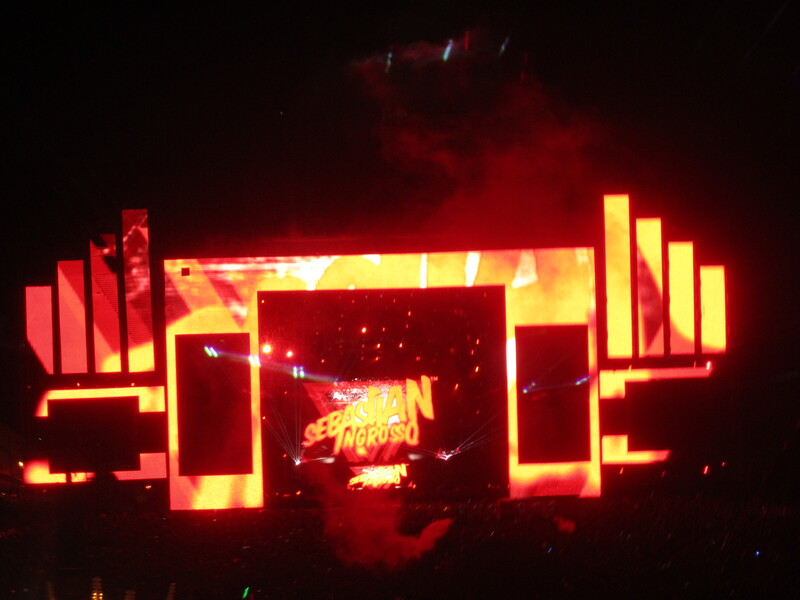 Following Dirty South was one of my personally most anticipated performance of the night…. 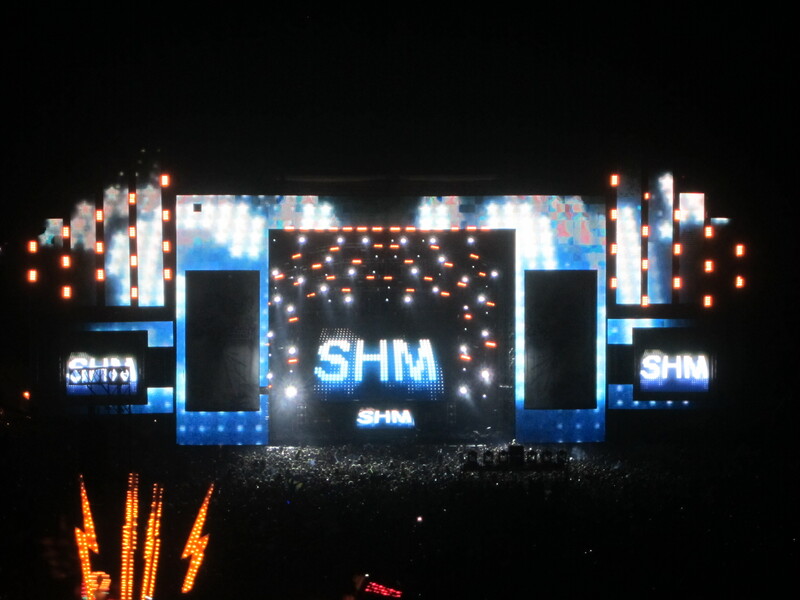 Swedish House Mafia. Some of my favorites that the trio played were: Sweet Dreams remix, the Steve Angello Be mashup with Benassi’s Satisfaction, Supermode’s Tell me Why mashup with Bittersweet Symphony, Leave the World Behind, and of course the famous ONE (including the remix). 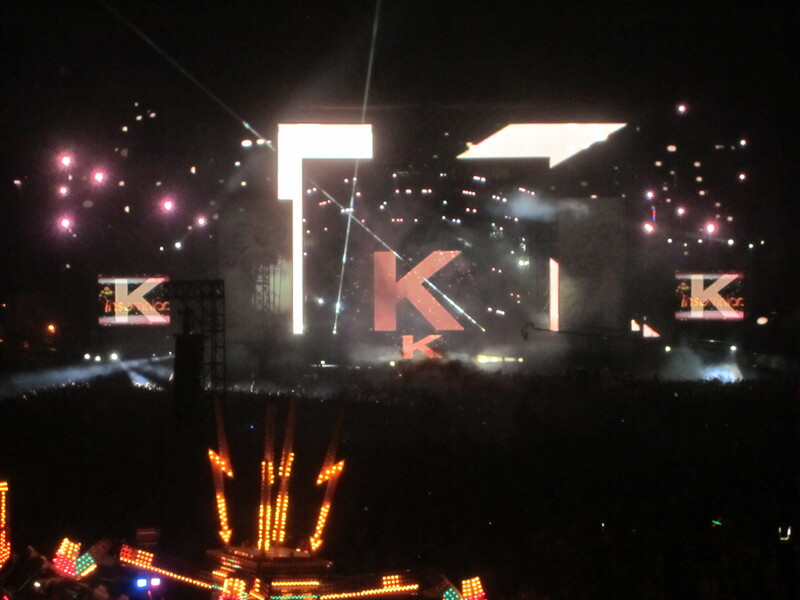 After the insanity that was SHM, Kaskade took the stage around 11pm. 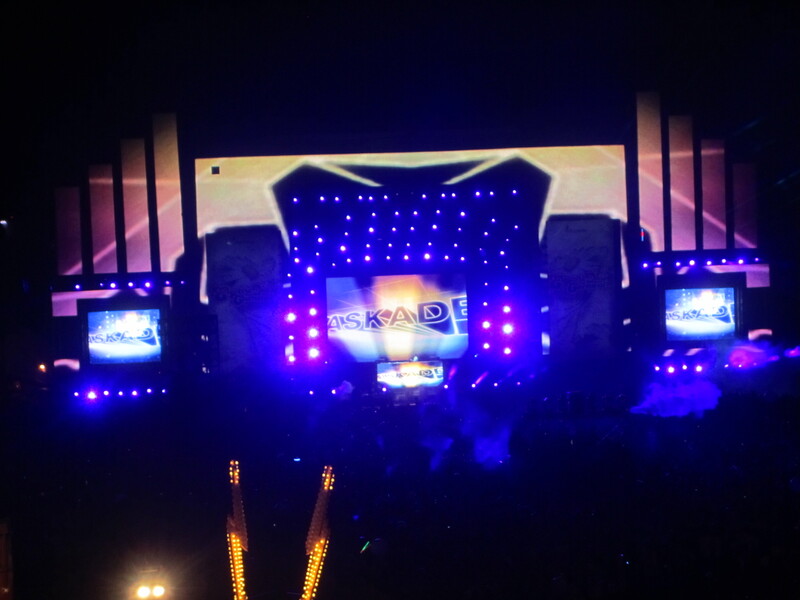 With JUST as much excitement as SHM, the crowd was beyond ready to hear all Kaskade’s new hits from his album Dynasty….which of course was his opener of the evening. Besides playing a lot of songs off the new album and his older album Strobelite Seduction, Kaskade’s mashups (for me) were the best of the night: Kaskade/Afrojack/Digital Lab/Guetta – Louder than Empty Streets, Be Still Satisfaction, & Kaskade/Alex Gaudino – I’ll Never Dream I’m in Love. 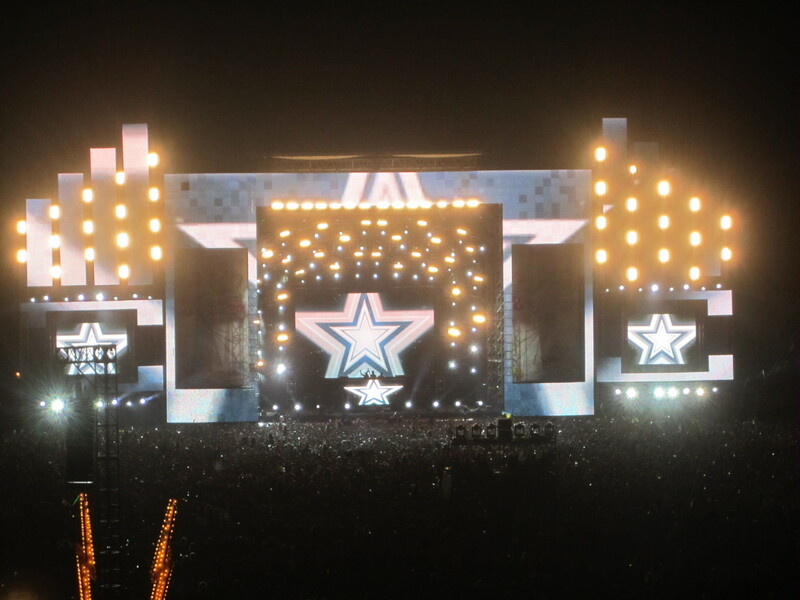 Last but not least was the one and only Deadmau5…I was definitely beyond exhausted by the time he came on, but it was great to listen to one of my absolute favorites – Ghosts N’ Stuff! IF you happened to miss the Carnival and were not able to hear it on Satellite radio: live sets were posted HERE. 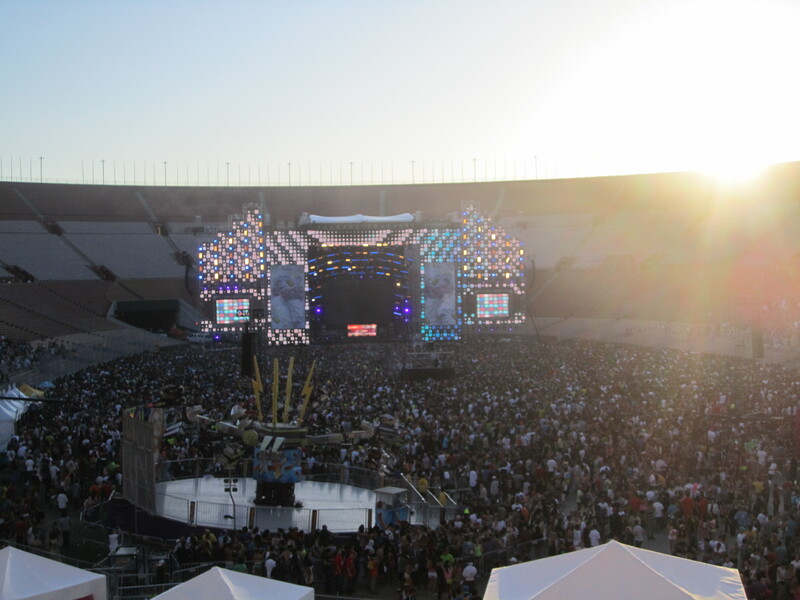 For more pictures from the event please visit my FACEBOOK FAN PAGE and look for the album Electric Daisy Carnival. For videos from EDC please visit my YOUTUBE CHANNEL. Videos are in the Playlist EDC 2010. For those house, progressive, electronic, and trance music lovers anxiously awaiting one of the biggest national music festivals, the week of the Electric Daisy Carnival is upon us! 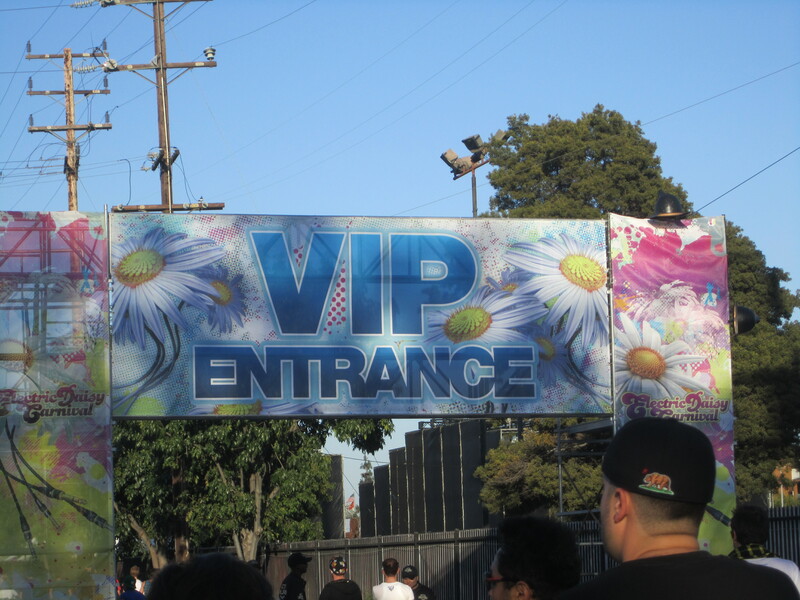 Friday June 25 and Saturday June 26 the Colliseum in downtown Los Angeles will be exploding with 5 stages, carnival rides, food, people dressed up in what I like to call “Halloween-like” costumes (yeah – you know why), and most importantly – some of the most prominent and talented DJs in the world. Last year’s EDC was definitely an experience to be had (I still can’t get over people’s outfits – or should I say costumes). Luckily for my group of friends, we had purchased VIP tickets and didn’t have to be crushed in a sea of crazies. I had such an amazing time last year and still have my souvenir “MUSIC IS MY DRUG” t-shirt! I can’t wait until Friday! For more information visit the main EDC WEBSITE and to purchase tickets click HERE. Set times have also been posted HERE. For those of you that cannot make it to EDC (or just prefer not to go) Sirius XM Satellite Radio will be streaming the festival live on Area from KineticFIELD, circuitGROUNDS, and cosmicMEADOW on both the 25th and 26th. This week I was inspired by this quote: “When u are in touch with your authentic self, life flows easily, u meet challenges with courage & prosper in ways u never thought u could.” As my DJ career has grown immensely in the past 2 months, I’ve come to realize the importance of being genuine and staying true to who I am. As most of us know, life is an unexpected adventure every single day and in order to make sense of that journey and to grow, love, and be happy – you must let go and just be yourself. I wanted to say thank you again to my friends, family, and fans that have fully supported me and my DJ’ing by coming to all my events. I appreciate it from the bottom of my heart. 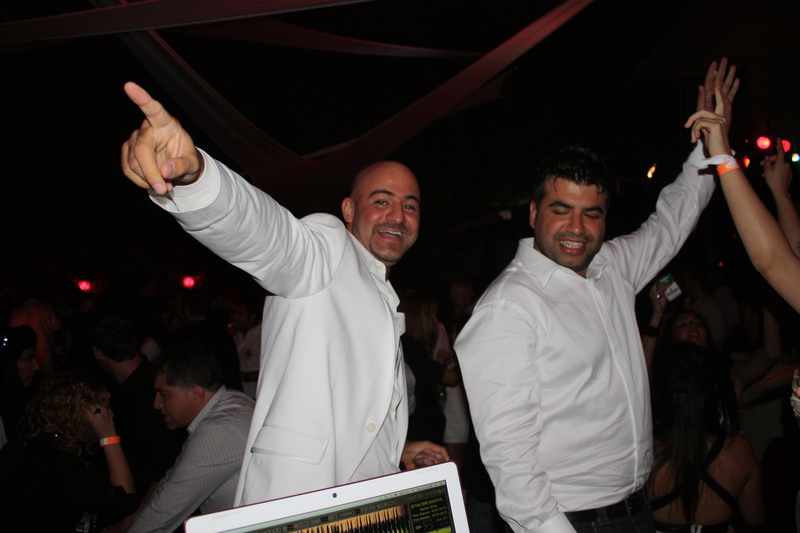 Thursday night I DJ’d the Bosphorus Nights 1st Summer Black and White Party! I have to start out by saying this was probably the most professionally organized and executed event I have ever DJ’d for. 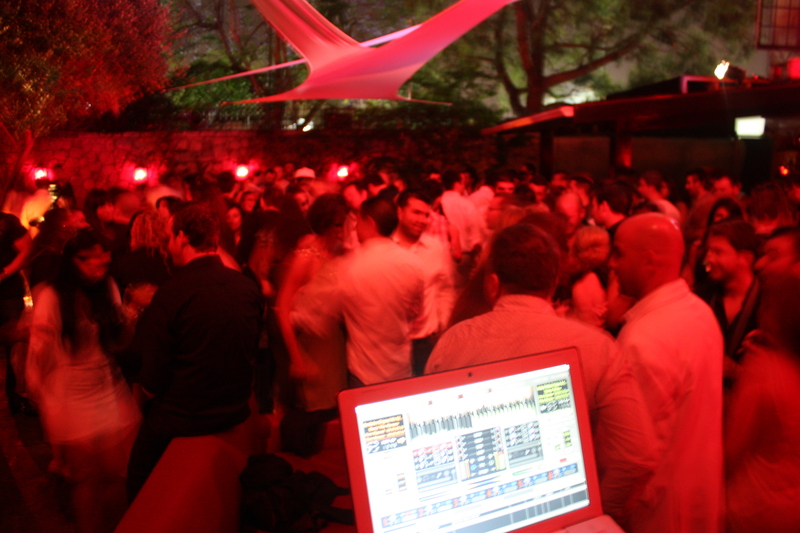 The party was held at Les Deux nightclub in Hollywood, CA. I had the honor of being filmed and interviewed for Turkish tv (TRT) as well! 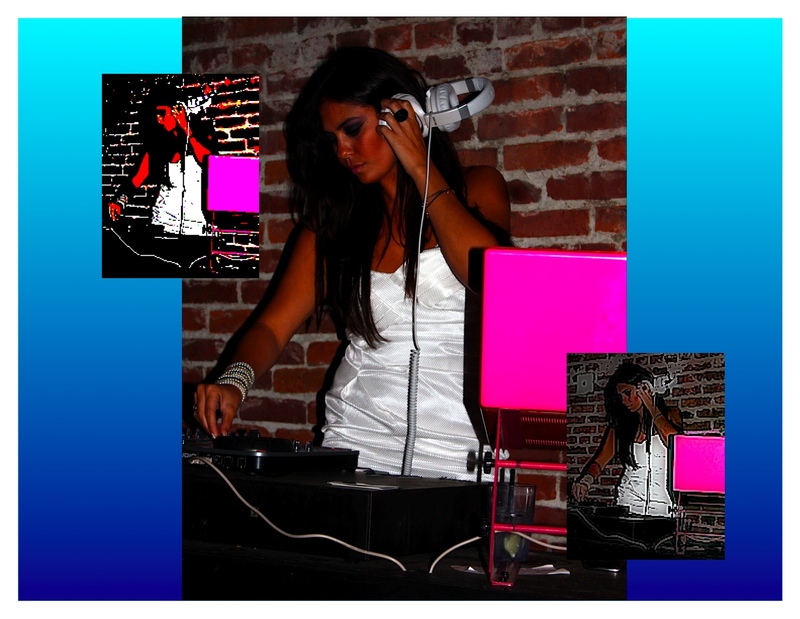 I spoke about my DJ career, my preparation for parties, and what type of music I would be playing that night. I was also filmed DJ’ing throughout the night, which was a little intimidating at first, but turned out to be a lot of fun (especially as they filmed me dancing to one of my favorite songs)! I believe around 200 people attended the club Thursday night and let me tell you – these people knew how to party AND how to dance! As the crowd was very happy about the Lakers becoming National Champions, they were even happier when I played LMFAO’s Shots – the Laker version! I ended up turning off my music a little past 2am….hello exhaustion! … it was worth it though. Thank you to Baris Avsar for organizing an outstanding event that will hopefully continue in the very near future! **For more photos from the event please visit my FAN PAGE and photos are entitled “BLACK AND WHITE PARTY.” For videos from the event, please visit my YOUTUBE CHANNEL. 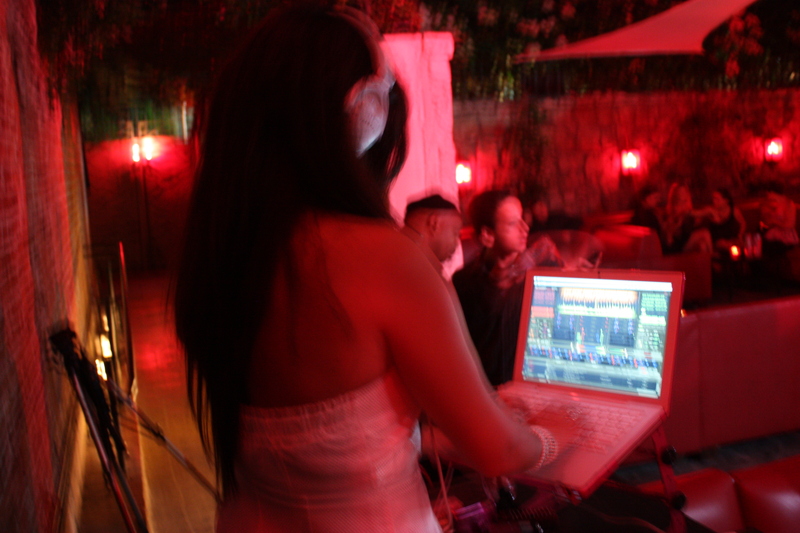 Saturday I DJ’d my sister’s 23rd Birthday Pool Party at our home in Beverly Hills. SO.MUCH.FUN! Where do I begin… well after eating a delicious feast of Mexican food (tamales, tacos, & more) – the next stop was THE OPEN BAR. With an excessive abundance of all different types of alcohol (predominantly tequila), the bar was constantly packed with people ordering drinks and shots! (The drinks were also creatively named… for example – a margarita was called the NO WAY JOSE) Down by the pool were cocktail tables with beautiful centerpieces… and of course…. 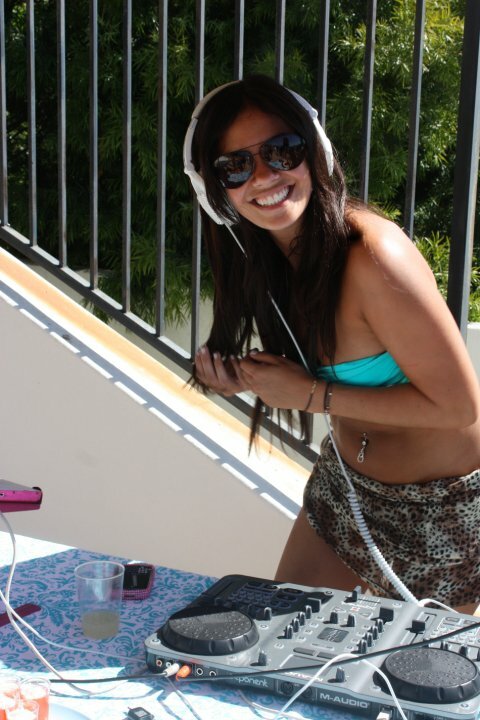 to the side of the pool was THE DJ BOOTH! Luckily because this party was my sister’s and we have just about the exact same taste in music, the playlist was NOT a problem and literally a dream come true (or should I say a house music dream?). Overall, minus being thrown into the pool a grand 3 times, I had a lot of fun with family and friends! 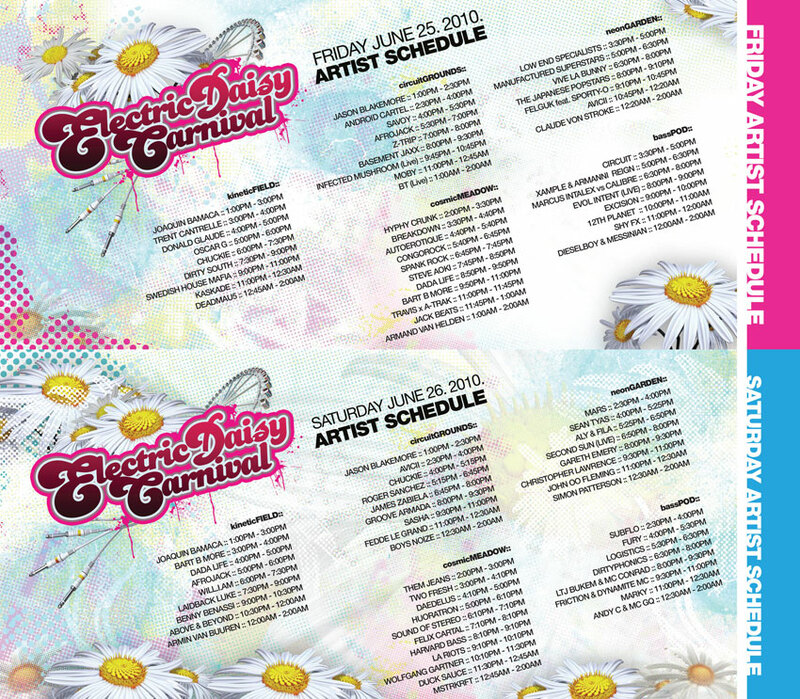 **Also stay tuned, this is the week of the Electric Daisy Carnival which I will be attending on Friday! There will be a pre-EDC post with all the featured artists at the festival and a post-EDC blog entry recapping my experience on Friday (you’re going to get photos AND live videos)! It was another D’Lish-ous weekend! 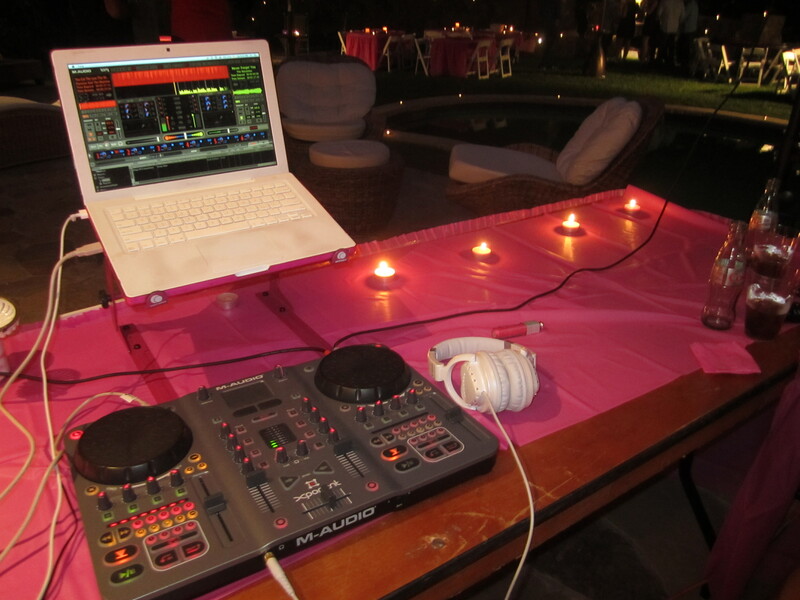 I DJ’d a private birthday party on Saturday night in Beverly Hills that was a lot of fun. With a “pink” theme that included pink martini glasses, pink candles, & pink balloons, my pink computer case & laptop stand fit in perfectly. Taking place in the backyard of the birthday girl’s house, the party was most definitely a hit for the crowd that included about 100 guests – especially the Casino games (because really, who doesn’t like to gamble)? I literally played everything that night: Jay-Z, Bitter:sweet, Lady Gaga, David Guetta, BEP, Kaskade, Usher, La Roux, Marina & the Diamonds, & more. And guess what? It will be a D’lish-ous week as well! This coming Thursday the 17th I will be DJ’ing for the first time at the hotspot club Les Deux in Hollywood! As someone who doesn’t traditionally DJ at clubs (more so private parties & events), I am beyond excited and so happy that I’ve been given this opportunity. I’ve been preparing an extensive and ecclectic playlist for the past week and am READY TO ROCK! This coming Saturday I will also be DJ’ing a private pool party in Beverly Hills for my sister’s birthday. With a latin theme, an abundance of tequila and food (oh and my music because basically I can play whatever I want), I’m pretty sure this will be an unforgettable summer party to kick off summer! Ok – my female vocalists are BACK yet again (this was by accident)! 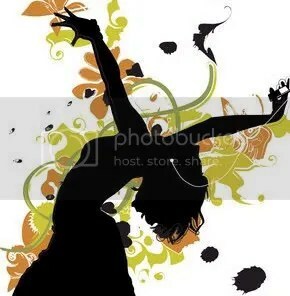 Don’t ask me why, but the songs for today speak of well.. independence, empowerment, and most importantly – having fun. I’d like to call these tracks more of “feel good” songs that act as a kind of inspiration for your everyday life. For those of you that know, I always love to DJ the other Static Revenger/Richard Vission song – I like that. Well here’s the newest one! Static Revenger feat. Luciana – Skin I’m In (Mind Electric Slammer Remix) This is who I am and all that I need. With a little latin flair to it, this one is perfect for summer! Jason Rivas – To Start Again (Jason Rivas Back From Ibiza Vocal Mix) Bring it back and start again. Work it out that only love remains. I remember when this song first came out (it was right before I saw him live). It was a hit then and it’s still a hit. Each of these remixes is different, so listen to both! Tiesto ft. Tegan & Sara – Feel it In My Bones (Marcus Schossow Remix) OR (Paul Webster Remix) I feel you in my bones, you’re knocking at my window, you’re slowly letting me go, and i know this feeling oh so, I feel you in my bones. This progressive track is very smooth all the way through & I definitely love the singer’s voice. Check out the Zoo Brazil and Paolo Mojo remixes also. Mason – You are Not Alone (Glenn Morrison Remix). I used to think that my life had to mean something but it turned out, I had to find out the hard way…create my own meaning. Another remix off of Tiesto’s Kaleidoscope album. This one is a little more progressive. Tiesto ft. Nelly Furtado – Who Wants to Be Alone (Andy Duguid Remix) Don’t take me home till the sun comes up.